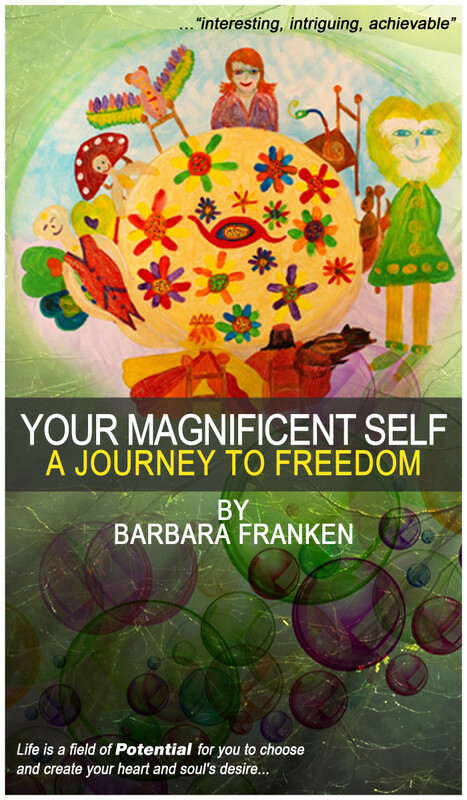 My friend Leigh over at Not Just Sassy on the inside has read my new book, Your Magnificent Self… A Journey to Freedom and has written me a lovely review of her finding. Please go over to her blog and read what she says. My book is available from all major online book shops, some links are available on my store page. Filled with Barbara’s “intuitive paintings”, which are quite fun, the book is Barbara’s journey through meeting nine spirit guides, each of whom worked with her on deepening her understanding about a different area of life. Thank you so much leigh for reading and enjoying my extra-ordinary journey and what a great description you write to help others understand the creative expression we all indeed hold within… but dare we allow ourselves to unleash the magic we carry with us… and create our life as we desire in each moment. IAM honoured to be mentioned among the other popular writers. Here is to more of us choosing to go beyond our mind and physical reality and getting to know the magnificent consciousness that we each are and all life is. 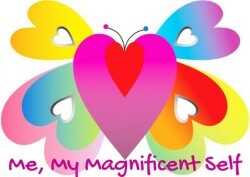 Hello Carolina… Thankyou so much for coming to support my virtual book launch… it is such a wonderful happening to see a creation take its own place in life… with so much love from my friends, near and far. I’ve sent my E-Book off to you so please enjoy and will love to hear how you resonate with it. Love Barbara. I wish you every success with your book.